Journalists are banned from the Nuba mountains. This makes it extremely difficult for International media to cover the war and it’s impact on civilians. Nuba Reports brings together local journalists with professional editors and mentors in order to produce verifiable and compelling dispatches from the front lines. But for the model to work, we need your help. Make this hidden conflict visible. Make it news. The fighting season begins anew for civilians in the Nuba Mountains as the two warring sides failed to agree over a cessation of hostilities to allow humanitarian aid into the war-affected areas. Government and Sudan People’s Liberation Movement-North (SPLM-N) troops have mobilized to fight in South Kordofan and Blue Nile States. During the last fighting season over 2000 bombs were dropped on civilian targets. 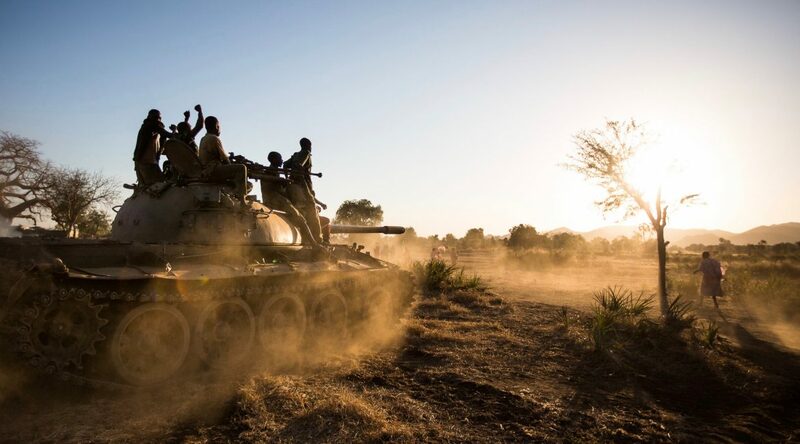 Last week, SPLM-N troops intercepted the government’s Sudan Armed Forces (SAF) just 10 kilometers (6.2 miles) north of Dilling town, killing 9 SAF soldiers, according to an SPLM-N statement and a SPLM-N representative Mubarak Ardol. Malik Agar, Chairman of the SPLM-N, has directed all forces to combat government forces operating in the rebel-controlled areas, he added. Prior to this order, SPLM-N spokesperson Arno Lodi claimed government forces attacked their positions in the two areas last month while peace talks between the two sides were underway. The day after the peace talks ended in failure on November 24, Sudan Defense Minister Awad Ibn Ouf announced a plan to recapture the SPLM-N stronghold of Kauda. Repeated calls to Sudan’s military spokesperson were left unanswered. The campaign of violence unleashed in the last fighting season, which generally starts around December when the rainy season ends, destroyed homes, farms, schools, churches and clinics, according to Nuba Reports monitoring. Besides civilian communities, government forces also bombed a Médecins Sans Frontières hospital twice despite staff having informed officials of the work and GPS coordinates of their facility prior to the attacks. Sudan’s delegation to Addis was overwhelmingly made up of military and security officials according to Khalid Omer, a civil society representative at the Addis talks. The November 19-23 negotiations were dogged by disputes between the warring sides over inclusivity. SPLM-N officials have repeatedly called for comprehensive peace negotiations to include all armed groups while the government has lobbied for exclusive negotiations with the SPLM-N. The Secretary General of SPLM-N Yasir Arman reiterated demands for a nationwide political settlement prior to the talks, arguing that past peace deals between individual armed groups failed to uphold. This round of talks was divided into two tracks: one for discussing the two Areas (South Kordofan and Blue Nile states) and one for the ongoing conflict in Darfur. In the beginning of the negotiations, the mediators presented a position paper addressing all unresolved issues. Humanitarian aid, in particular, was a thorny issue. 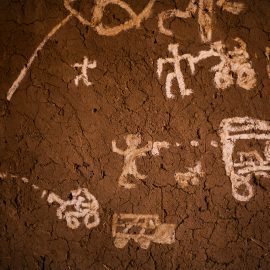 For years, aid has been used as a weapon of war by Sudanese authorities both on the frontlines and at the negotiating table, according to the human rights advocacy group, the Enough Project. In the Nuba Mountains, there is much concern about which points geographically the aid would come through. 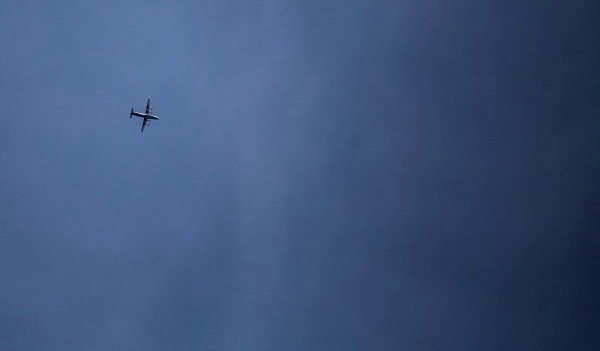 “We want a process where there is multiple access to aid, a channel from El-Obeid by air, but also cross-border access from South Sudan and Ethiopia,” Arman said. Lt. General Emad Adawi, part of the government delegation, said the government will not accept humanitarian aid from South Sudan and Ethiopia as opposed to El-Obeid as they fear the SPLA-N will use this route to smuggle weapons, according to news reports. Government negotiators also proposed humanitarian access contingent on provisions that would allow government forces to control areas along the South Sudan border and to dissolve the SPLM army. The border with South Sudan has been a lifeline for the 70,000 people who fled fighting in South Kordofan and found refuge in Yida camp just over the border and a route for basic humanitarian aid into rebel-held areas of South Kordofan and Blue Nile. Abdu Badawi, a farmer in the Nuba Mountains, fears if aid came through El Obeid under government control, government forces could use their standing to further inflict suffering upon civilians in the Nuba Mountains. “They can put poison in the food that is delivered to us. I think they only see us as the enemy,” Badawi told Nuba Reports. 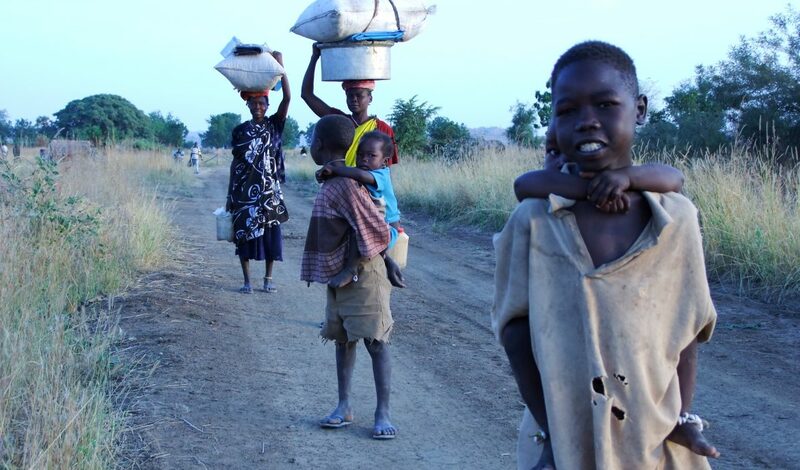 Last year, the government bombed one of the richest agricultural areas in the state, according to an umbrella group for humanitarian organizations, the Southern Kordofan and Blue Nile Coordination Unit. Commenting on the outcome of the talks, a U.S. State Department official told Nuba Reports that more political will to compromise over a monitored cessation of hostilities agreement was required to ensure humanitarian assistance reaches the conflict-affected people. In January 2014, President Bashir launched the National Dialogue as an attempt to bring together all Sudanese parties and armed groups under one umbrella for discussion. The National Dialogue became the main negotiation tool for the ruling National Congress Party (NCP) as it served as evidence of their commitment to solve Sudan’s political deadlock and in turn, the many conflicts brewing in Sudan, according to news reports. 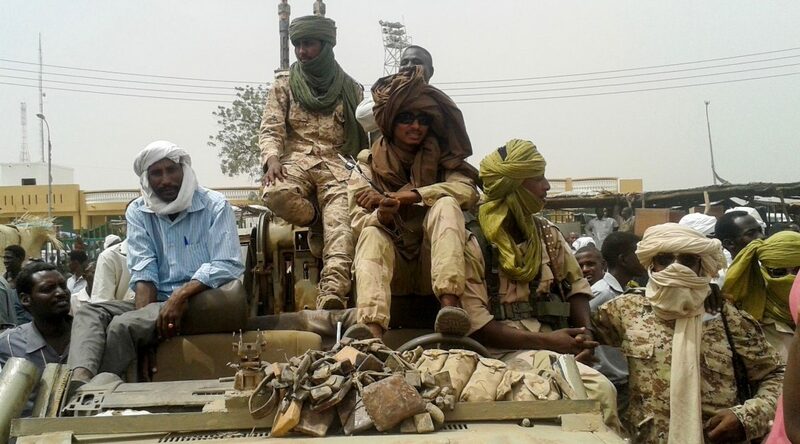 In September 2015, Bashir invited the armed groups to join the dialogue and announced a two-months ceasefire in the two areas and Darfur leading up to the talks. Key opposition parties were absent from the six committees formed to carry out the national dialogue process, according to news reports. Now an official preparatory meeting for a national dialogue process is scheduled for December 7 despite the lack of agreement over a humanitarian corridor and disputes over political inclusion. Just as observers viewed the national dialogue process as the NCP’s last resort to secure political legitimacy, Omer, the civil society representative who attended the talks, believes that the Addis talks were the last opportunity for a political settlement. “I see the collapse of the talks as a declaration of war by the government against the people,” he said. This week, the South Kordofan Governor Issa Adam, told the press that 2016 would be the final year of the conflict, implying a potential intensification of fighting if the armed groups continue to reject the national dialogue process, news reports said. While this round of talks—the 10th session held since the conflict began in 2011– ended with virtually no progress on protecting civilians caught in the war. According to the Coordination Unit, an estimated 140,000 people in the two states face emergency threats of malnutrition and mortality. Nuba Reports is produced by a network of journalists from the Nuba mountains. They know the conflict better than anyone. Armed with cameras and journalistic training, they have returned to their homeland to document the conflict for audiences both inside and outside Sudan. Our lead reporters have been filming since the conflict began, and each manages their own team of reporters. It is difficult and dangerous work.